The Xiaomi Redmi Note 4 was one of the most successful mid-range smartphones last year, at least in India. It packed decent power and great battery life especially considering the price. This year, it is going to get better with the Redmi Note 5. The Redmi Note series has looked pretty identical from the front for quite some time now. 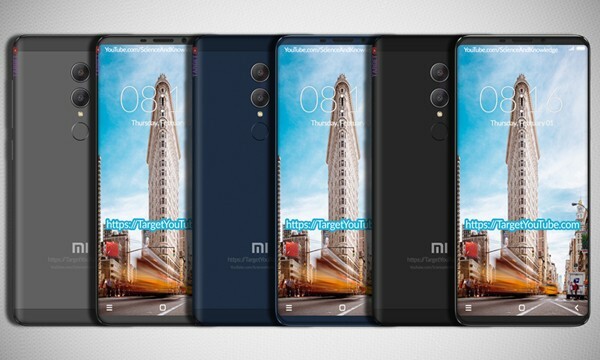 This will change with the Redmi Note 5, owing to the chopped down top and bottom bezels, giving a tall display with an aspect ratio of 18:9. The display is set to be a 6-inch IPS LCD one with Full HD+ resolution(1080 x 2160 pixels). The smartphone will be powered by the Snapdragon 636 SoC, which is an upgrade from the Snapdragon 625 chipset found in it’s predecessor. The RAM configuration will remain the same at 3/4GB with 32/64GB of on-board storage. Talking about cameras, this is where things get a little interesting. The camera department has been the only major weak point for Redmi smartphones and the Note 5 may just fix that. A dual camera setup is expected on the rear comprising of a 16MP primary sensor coupled with a 5MP depth sensor. The front camera spec may remain the same. In line with it’s predecessor, the Note 5 will come with a 4,100mAh battery but the device will reportedly support Quick Charge 4.0. This is a necessity given the large size of the cell inside. The smartphones will be available in grey, blue and black and will cost CNY 1499 (approx Rs.15,260).